Hail to the Angry Birds! We recommend you to play this game in full screen mode (of course if you have a high-end computer). - This is the desktop PC version of the game. So it won't work on mobile devices. - Game's loading may take a while, please wait. - Game may be slower due to your system specifications (especially if you have a slow CPU). 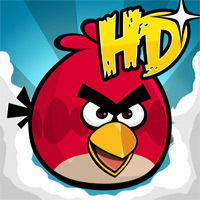 GAME PATH: Gamers2Play.com - Angry Birds Games - Play Angry Birds game!